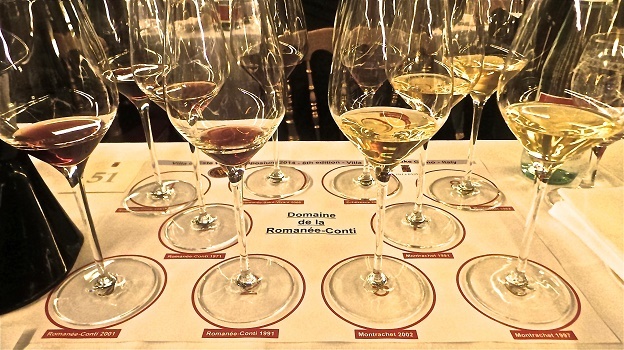 This truly once in a lifetime tasting of wines from Domaine de la Romanée-Conti was one of many highlights of last year’s Villa d’Este Wine Symposium, which was held from November 6-9 on the picturesque, idyllic shores of Lake Como in Italy. The brainchild of François Mauss, President and Founder of the Grand Jury Européen, the Villa d’Este Wine Symposium brings together wine personalities and collectors from around the world for a weekend of seminars, tastings and dinners. Perhaps because it is held at the end of the year, once the stress of harvest starts to become a memory, the Symposium finds winemakers in a much more relaxed state of mind than they are when I tend to see them at their properties throughout the year. One of the things I love most about the Symposium is the way the event brings people together over a shared passion for wine. There are no egos here. I was honored and thrilled to present Vinous’s work with Google on interactive maps during one of the afternoon sessions. There were many highlights of Wine Symposium this past year. One of them was certainly the Saturday afternoon Domaine de la Romanée-Conti tasting, an event that is not likely to be repeated anytime soon. 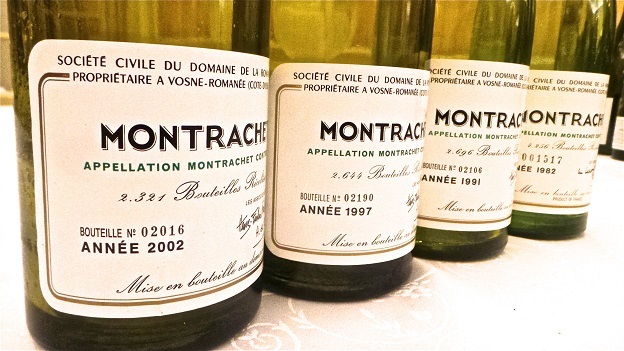 Over the years, I have had the privilege to taste and drink many of the domaine’s wines, but I have never had four vintages of Romanée-Conti and Montrachet together. For the occasion, DRC’s Co-director Aubert de Villaine dug deep into the domaine’s cellar and rewarded attendees with an utterly breathtaking selection of wines. One of the real challenges with a tasting like this is choosing where to start. You can’t just serve a Romanée-Conti or Montrachet as a first wine. De Villaine very graciously brought along bottles of the 2006 Échézeaux and Romanée-St. Vivant to help attendees get their palates warmed up. Not a bad way to start, let’s just leave it at that. As it turns out, I also tasted the 2005s earlier in the day, so I include those notes here for reference, although the 2005s were not part of the formal tasting. I remember sampling the 2006s from barrel in the summer of 2007. All of the talk was about the 2005s. But I had a personal interest in 2006, as it is my son’s birth year. So I may have a personal bias, but I have always found the best wines of this vintage compelling, and own quite a few myself. It was a difficult year, that much is clear. A sudden heat wave in July was severe enough to block vegetative growth in some areas. That was followed by the coldest and dampest August in twenty years, which set the stage for botrytis at harvest time. Weather improved dramatically in September and ripeness levels were healthy, but at the same time, considerable sorting was required. The harvest took place between September 20 and 27. The 2006 Échézeaux is quite open and expressive today, with striking, precise aromatics, gorgeous sweetness and silky, caressing tannins. I am surprised by how open and pliant the 2006 is, but that is not at all a critique. The 2006 Échézeaux is a great introduction to the wines of the domaine and a fabulous way to start this tasting. 93/Drinking window: 2016-2036. A much firmer wine, the 2006 Romanée-St. Vivant is backed up by firm veins of mouthwatering salinity and acidity. The characteristic Romanée-St. Vivant perfumed bouquet is very much in evidence, while there is a sense of energy and pure drive that distinguishes it from the Échézeaux. The RSV can be drunk today, but knowing how these wines age, patience will be rewarded as 2006 still isn’t showing all of its cards. 95/Drinking window: 2021-2046. Next to the super-refined, delicate 2006s, the 2005s come across as deeper and richer in personality. That is quite evident in the 2005 Échézeaux, a wonderfully lifted, precise Burgundy that is just starting to blossom. Today, the 2005 is all about nuance and detail. This is a terrific showing. Once again, in 2005 the Échézeaux is a real overachiever. 94/Drinking window: 2018-2045. The 2005 Romanée-St. Vivant is both incredibly aromatic and vibrant, but, then again, it is Romanée-St. Vivant. Here, the impression is of pure verticality and towering structure. A bit darker and more brooding than RSV often is, the 2005 is a wine built for cellaring. Perhaps because it is the first wine I tasted from the domaine, I have always had a weak spot for the RSV. The 2005 is magnificent, but it is also a wine for those who can be patient. 97/Drinking window: 2020-2055. What a privilege it is to taste four vintages of Romanée-Conti side by side, a rare occurrence, to say the least. This tiny monopole, just 1.81 hectares in size, is quite possibly the most famous vineyard in the world judging by the astronomical prices consumers are willing to pay for the wines and the continuous stream of visitors who flock to this site just behind the town center of Vosne-Romanée. To me, Romanée-Conti is like a great piece of music or painting; attempts to describe it in full are virtually impossible as the wine is like a prism, constantly changing in the glass and showing different shades of inflection. The passage of time only serves to illustrate how Romanée-Conti doesn’t really age, rather it simply moves gracefully into different stages of its life. Even at 14 years of age, the 2001 remains virile and imposing, which is quite rare as Romanée-Conti is so often an elusive, more sensual wine. The 2001, on the other hand, is a wine of transparency and energy, two of the signatures of the 2001s here, yet the aromas and flavors remain a bit on the dark side. Although the 2001 is strikingly beautiful today, it will only improve and transform over time, as this tasting amply shows. 97/Drinking window: 2021-2051. The 1991 Romanée-Conti is in a beautiful place today, where all the elements have fused together in a Pinot of remarkable grace and sensuality. Intensely floral, lifted and savory in the glass, the 1991 shows the more fleeting, elusive side of Romanée-Conti, as it constantly changes in the glass, revealing different facets of its diamond-like brilliance over time. There is so much to admire in the 1991, a stunning wine that will thrill those lucky enough to own it for decades. 98/Drinking window: 2015-2041. 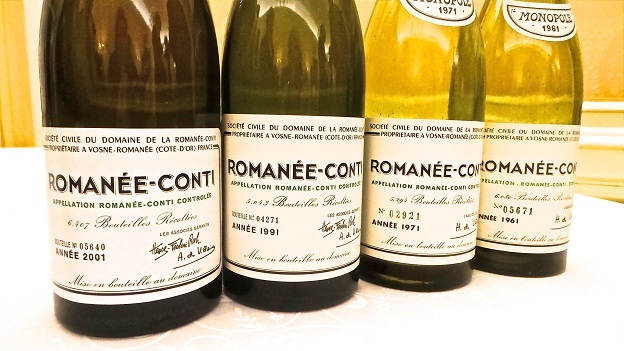 One of the highlights of the evening, the 1971 Romanée-Conti is all about silkiness, texture and persistence. For many tasters, the 1971 is the wine of the flight. I find the aromatics slightly lacking in focus, but otherwise, the 1971 is magnificent. In any other tasting it would easily steal the show, but then the 1961 arrives. Still, the 1971 is unquestionably beautiful and peaking today. 96/Drinking window: 2014-2031. The 1961 Romanée-Conti is simply magical. A hypnotic, totally alluring wine, the 1961 takes hold of all the senses. My mind goes to the 1961 Haut-Brion I tasted a few days before. What is it about wines of this era and their ability to captivate our imagination? I am asked for a comment on the 1961 Romanée-Conti. The best I can manage is “timeless.” The 1961 is not young, it is not old, it is just the 1961, a wine I can only hope to taste again one day in the future. The 1961 is the product of a low-yielding vintage marked by bad weather during flowering and a late, October harvest. Today, at 53 years of age, the 1961 Romanée-Conti is simply spellbinding. How long it might stay at this peak is anyone’s guess, but if the bottle I tasted is any indication, it isn’t going anywhere anytime soon. 97/Drinking window: 2014-2024. For whatever reason, this year I tasted more vintages of DRC’s Montrachet than ever before, many of them on multiple occasions. Not that I am complaining. Far from it. It’s almost as if I was being prepared for this tasting. I guess sometimes things have a way of working out. I have to admit that over the last twelve months I found myself thinking more than once that the Montrachet is the single most profound wine in the Domaine’s lineup. 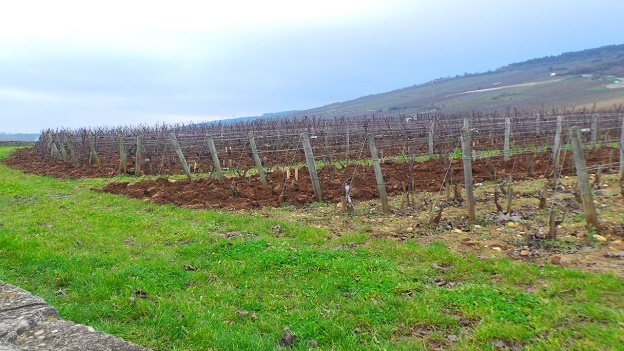 The Domaine owns three parcels within Montrachet, all on the Chassagne side, with a total surface area of 0.67 hectares. Stylistically, the Montrachet is without question the boldest and most opulent of the Domaine’s wines. With the exception of very ripe and/or powerful years, such as 1990, 2009 or 2012, the Pinots are wines of restraint and nobility. But the Montrachet, well, the Montrachet is the slightly unruly cousin of the family. 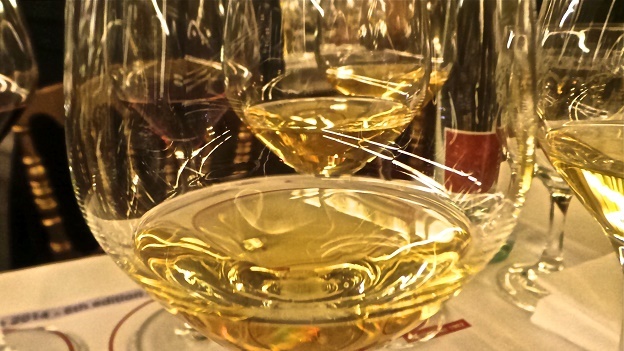 A wine with a big ego and an attention-grabbing personality, the Montrachet is almost always assertive, either playing off minerality and tension as is the case with vintages such as 2004 and 2010, or the botrytis-inflected opulence one finds in years such as 1988 and 2008. But the truth is that the Montrachet is a force of nature that simply will not be denied. It is a wine that grabs the taster by the throat and demands attention. Most notable of all, even in freakish vintages like the torrid 2003, the Montrachet retains its character and pedigree. The 2002 Montrachet is about as profound as a wine can be on this planet. Bold, voluptuous and racy in the glass, the 2002 is opulent but never heavy in any way. The wine just floats on the palate as it captivates all the senses with its extraordinary beauty. There is only one problem with the 2002. It is too young. Although stratospheric today, it is likely to only improve from here. In 2002, a quick flowering and balanced weather conditions resulted in a healthy crop. Once again, the Chardonnay was the last fruit to be brought in. 99/Drinking window: 2014-2034. In this flight the 1997 Montrachet is a bit four square, in relative terms, of course. The overall sensation is of a phenolic, very Pinot-like intensity. There is plenty of depth in the glass, but the 1997 is not especially showy today. Perhaps a few more years in bottle will help the wine come together a little more fully. The overall impression is of a push and pull, with all the ups and downs of the vintage totally captured in the glass. In 1997, the growing season got off to an early start. Conditions were uneven throughout the year, especially during what turned out to be a long and drawn out flowering that lasted three weeks (compared to 2002, where flowering lasted three days! ), which resulted in varying levels of ripeness throughout the bunches. August was quite warm, which caused the vines to shut down until late August, when rain brought the plants back into balance. The Chardonnay would not be picked until September 29, after all the Pinots and very late for Chardonnay. 94/Drinking window: 2015-2025. The 1991 Montrachet is in my view the most complete, harmonious and resolved of these four magnificent wines today. At a peak of its expression, the 1991 delivers the goods. It is at once mature yet opulent, feminine yet virile, and constantly changing in the glass, with layers of pure dimension that captivate all the senses. Almonds, hazelnuts and dried flowers abound are some of the notes that open up in the glass, but above all else, the 1991 is a wine of texture beautifully softened by the slow passage of time. Readers lucky enough to own the 1991 are in for a real treat. The 1991 is not an opulent or obvious wine, but rather a wine built on understatement. Arguably the least famous of these four Montrachets, on this day, the 1991 is simply stunning. 96/Drinking window: 2015-2021. How intriguing it is to taste the 1982 Montrachet, especially in this context, as it is so different in style from the other wines that precede it in the tasting. Now nicely mellowed and at its peak, the 1982 is gentle and caressing from start to finish. The flavors remain quite fresh for a 32 year-old wine. Slight elements of reduction are part of the wine’s fabric, but aren’t overpowering. All things considered, the 1982, from a vintage with very high yields, has stood the test of time quite well, even if it lacks the resonance of the best years and falls a bit short of being truly viscerally thrilling. I don’t see much upside from cellaring bottles further, although the 1982 has enough balance to continue to drink well for at least another handful of years. 94/Drinking window: 2015-2022. With that, the tasting was over. As I got up, I observed the spit cups were barely used at all. No wonder. Most people will never have chance to taste a single vintage of the domaine’s Romanée-Conti or Montrachet. We tasted eight, at the same time, in what I can only say is one of the greatest afternoons of wine I have ever been a part of. Note: All of the wines for this tasting, except the 2005s that were served earlier in the day, came directly from the estate’s cellar. Readers should keep that in mind when looking through these tasting notes, as provenance is the single biggest factor in determining how older wines show.